When I was in high school a long, long time ago, I worked one summer at a place called All American Heroes in the Aventura Mall food court. (It happened to be in the same space that was occupied by the gastroPod for a brief time last year). It offered the usual assortment of cold cut subs you'd find at any Subway wanna-be, but the real specialty of the house was the Philly cheesesteak. By the end of that summer, I fancied myself a legitimate cheesesteak-slinger, and had gotten pretty adept at that double-spatula chopping action on the flat-top. You'd think that after having cooked countless hundreds of them, I'd also be absolutely sick of cheesesteaks. But that moment never came. At the end of my shift I'd still happily make myself one – usually with provolone, sometimes mushrooms (I was fancy even then) – and enjoyed it every single time. So I was intrigued when I saw signage going up for a place called "Philly Grub" on a, well, pioneering stretch of NW 54th Street in Little Haiti that's often part of my daily commute. It opened a few months ago, but its hours (11am-6pm Mon-Sat, 11am-5pm Sun) never coincided with mine. I finally made it in this weekend, and was reminded of what I loved about that summer: the cheesesteaks. 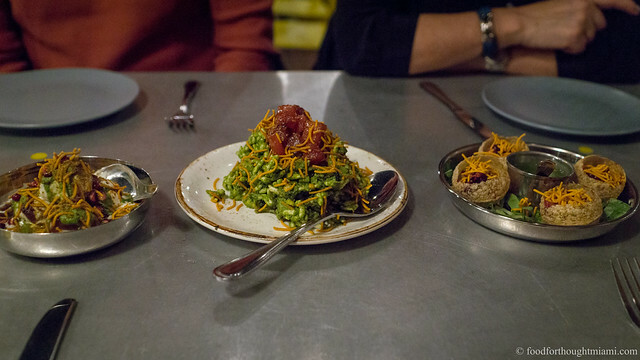 (You can see a few more pictures in this Philly Grub flickr set). There's not much to the place: a counter to take your order, a couple tables, a ledge around the wall with some stools. And there's not much to the menu either: your basic Philly cheesesteak, with a few options (Whiz, provolone or American; onions, peppers, mushrooms, lettuce, tomato and pizza sauce if you wish), along with a chicken cheesesteak, a vegetable Philly, plus sausage, meatball, and Italian cold-cut hoagies. But you'll appreciate the bare bones approach when you see that all the sandwiches are $7.76. Sides – Penn-Dutch style potato salad, a pretzel, or chips – will set you back an extra $1.76, or you can splurge on the pierogies with grilled onions and sour cream for $2.76. For Philadelphia nostalgists, there's also Italian water ices and TastyKakes for dessert. It is a finely crafted sandwich that you'll get for your $7.76. The beef is tender, well-seasoned and cooked through – still juicy, not entirely dried out, but not sopping its way through the bread before you can finish. 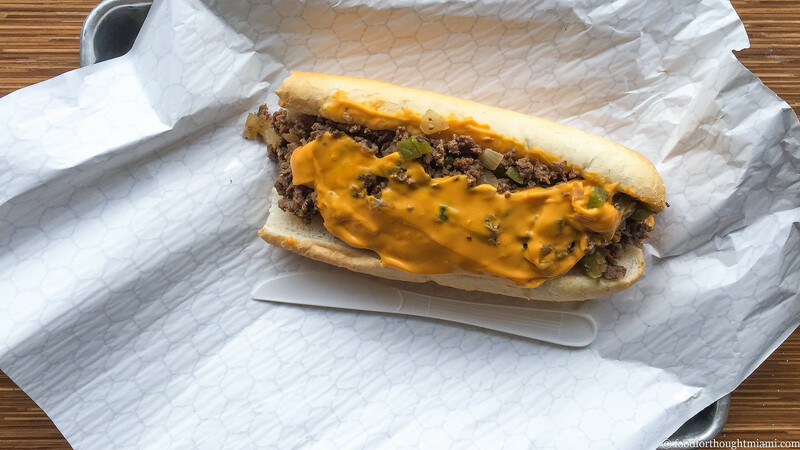 For tradition's sake, I abandoned the fancy pretensions of my youth and got crazy with the Cheez Whiz; there's a reason for those traditions sometimes. It comes on a real-deal Amoroso roll, with just the right balance of crusty and tender, like Peter Falk in Princess Bride. That cheesesteak wasn't just the best thing I ate last week; it was almost as good as the ones I used to make. 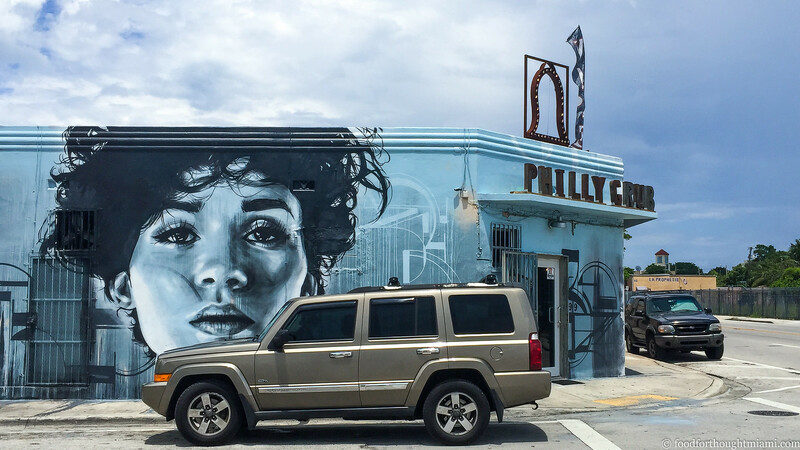 You can read some more about Philly Grub and its owners in this piece in the Miami Herald.